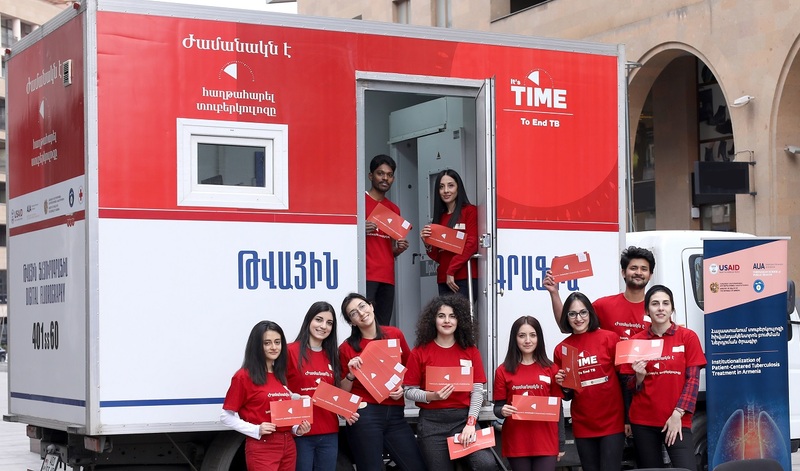 The campaign is part of a broader project “Institutionalization of Patient-Centered Tuberculosis Treatment in Armenia,” which supports patients and their families along the TB care pathway and helps achieve sustained treatment outcomes. 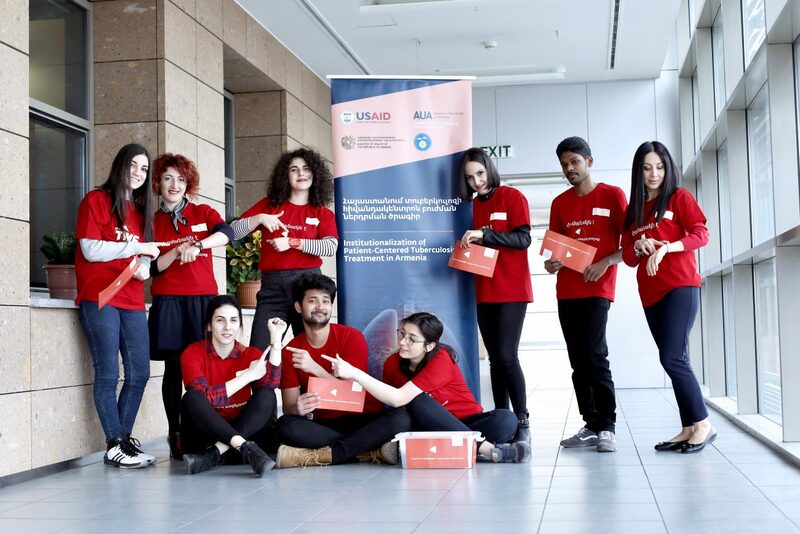 The activity is funded by the United States Agency for International Development (USAID) and implemented by AUA SPH, in collaboration with the Ministry of Health of the Republic of Armenia and the National TB Control Center (NTCC). The World TB Day event was the launch of the communication campaign to raise patient, community, and population awareness about TB. 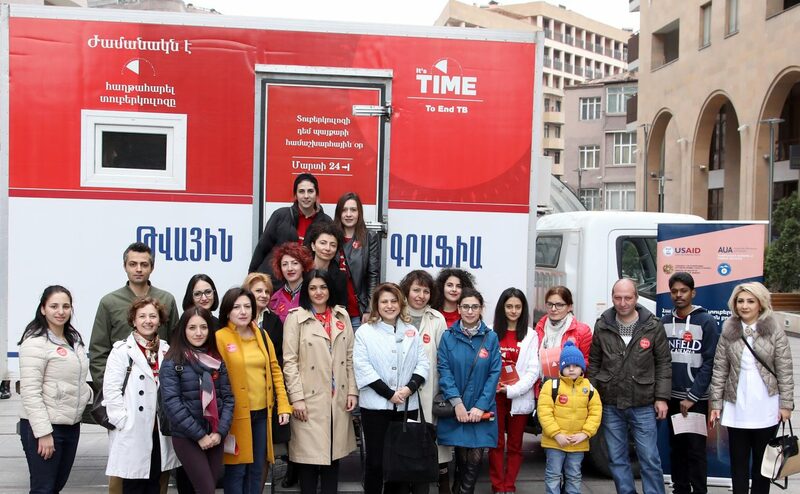 As part of the awareness raising campaign, the NTCC provided its mobile clinic that will provide free testing in collaboration with the Armenian Red Cross Society. AUA SPH has prepared awareness raising materials that the clinic will spread among the general population providing healthcare advice. 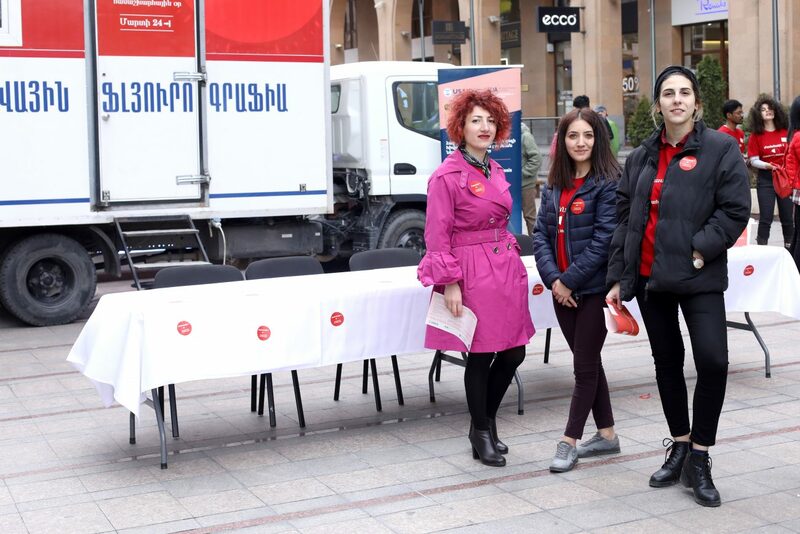 The awareness raising tour started from Northern Avenue in the heart of Yerevan, and will reach some cities and villages in Gegharkunik, Lori, Tavush and Aragatsotn regions. Attending the launch event, Deputy Minister of Health Dr. Lena Nanushyan (MPH ’05) reaffirmed the government’s commitment to eliminating TB. “We know we have come a long way in effective TB management in Armenia, but the journey is not over. It’s time to build on previous efforts and step up our efforts to end TB by 2030,” she said. 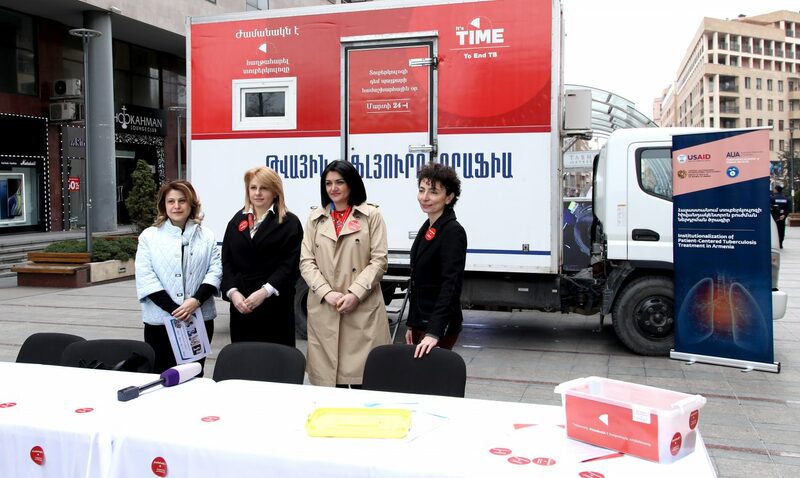 TB treatment is free and universally accessible in Armenia. While the adoption of best practices in the prevention, detection and treatment of the disease have halved incidence rates and reduced mortality by four times in the past decade, new cases and even TB-related deaths are registered every year. 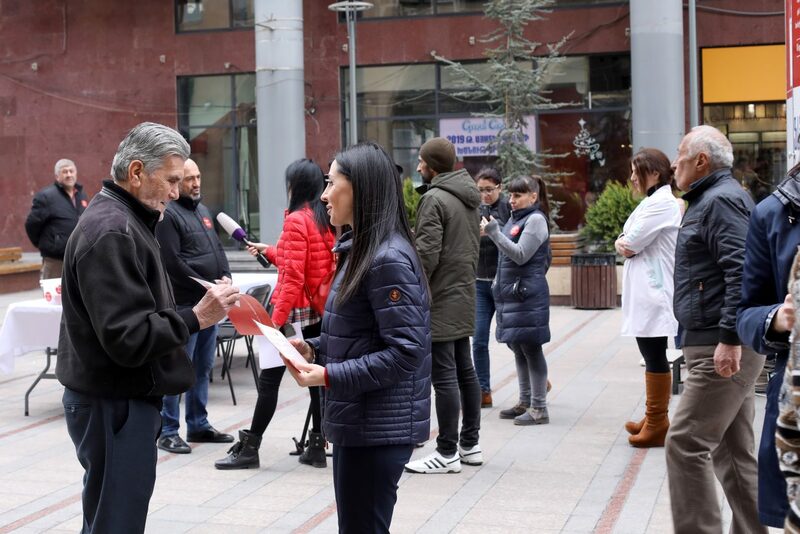 According to the World Health Organization (WHO), an estimated 36 of every 100,000 people were living with TB in Armenia in 2017, with a mortality rate of 1.74 per 100,000 people. Armenia also has a problem with multi-drug resistant TB. 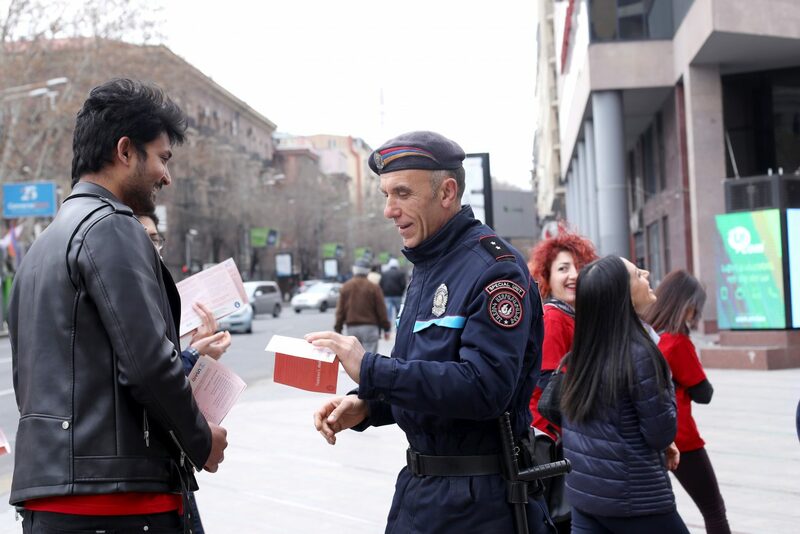 This form of TB, which is more complicated and takes much longer to treat, accounts for 16% of new cases and 44% of previously treated cases in Armenia. 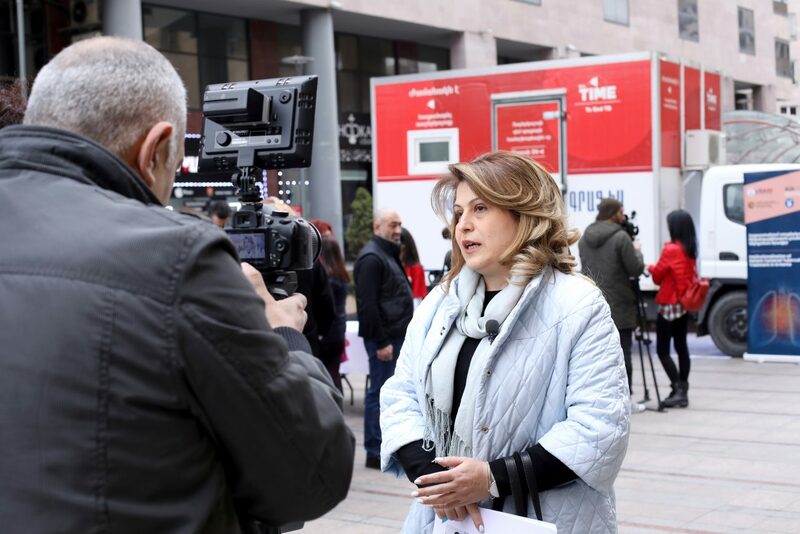 “It is unacceptable that a disease which is preventable and curable continues to recur and sometimes even claims lives in Armenia, especially when treatment is highly effective, completely free and universally accessible. This is why the Ministry is excited to support this campaign to raise awareness of TB and fight stigma against it,” said Nanushyan. 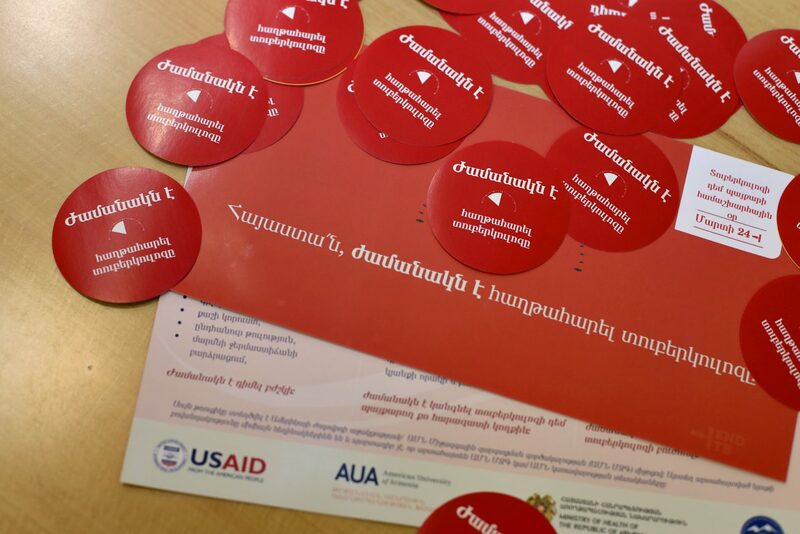 Poor understanding of TB contributes to the ongoing public health burden of the disease in Armenia. Alongside offering free testing, the mobile clinic aims to address gaps in public knowledge and misconceptions about the disease. “One important fact TB patients need to understand is that TB treatment is a lengthy journey, lasting at least six months. Even if you start feeling better, it is crucial to continue taking your medication as prescribed by your doctor. Failure to do so can lead to drug-resistant strains of the disease,” said Dr. Lusine Kocharyan (MPH ’13), the Director of NTCC. TB-related stigma is also a serious issue, with many patients reluctant to share their TB status with colleagues, friends and family members. However, studies suggest that support from family and friends is essential for TB patients to complete their treatment and overcome the disease. “Family member involvement in a patient’s treatment journey has been successfully tested in Armenia through a clinical trial that we conducted and it is currently recommended by WHO. Now, we aim to scale up its implementation in Armenia as best practice. So, if you know someone who is fighting TB, it’s time to stand by them,” said Dr. Vahe Khachadourian (MPH ’11), the Principal Investigator of the Project. Also key to positive treatment outcomes is early detection. People experiencing TB symptoms should get tested as soon as possible. These include: a cough that lasts for more than 2-3 weeks; weight loss; fever; night sweats; loss of appetite; and coughing up blood.